Black comedy is a genre that’s tough to get right, which is why there are so few successful examples. In a successful black comedy, the humor comes from unexpected sources, sometimes from sources ordinarily assumed to create nothing but fear or violence (e.g., crime), but it’s still relatable and it’s never mean-spirited. Black comedy introduces the comedy of errors, coincidences and bad timing into otherwise dark or even frightening scenarios. Here are some terrific examples of black comedy done right. Except where otherwise noted, descriptions are from IMDB. Jerry works in his father-in-law’s car dealership and has gotten himself in financial problems. He tries various schemes to come up with money needed for a reason that is never really explained. It has to be assumed that his huge embezzlement of money from the dealership is about to be discovered by father-in-law. When all else falls through, plans he set in motion earlier for two men to kidnap his wife for ransom to be paid by her wealthy father (who doesn’t seem to have the time of day for son-in-law). From the moment of the kidnapping, things go wrong and what was supposed to be a non-violent affair turns bloody with more blood added by the minute. 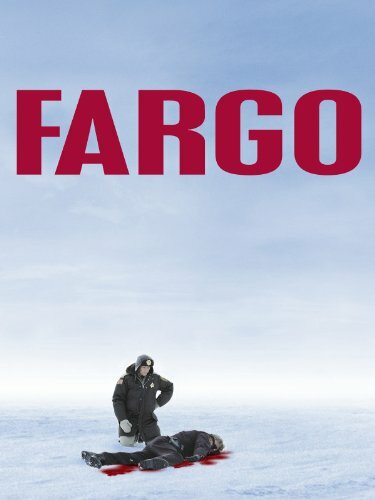 Jerry is upset at the bloodshed, which turns loose a pregnant sheriff from Brainerd, MN who is tenacious in attempting to solve the three murders in her jurisdiction. Two lovable West Virginian hillbillies are headed to their “fixer-upper” vacation cabin to drink some beer, do some fishin’, and have a good time. But when they run into a group of preppy college kids who assume from their looks that they must be in-bred, chainsaw wielding killers, Tucker & Dale’s vacation takes a bloody & hilarious turn for the worse. 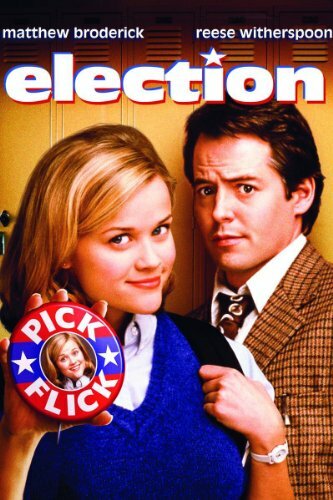 Jim McAllister (Matthew Broderick) is a history high school teacher living in the suburbs of Omaha, Nebraska whose enthusiastic involvement at school masks his frustration with other aspects of his life. Tracy Flick (Reese Witherspoon) is an overachieving senior with a secret vindictive and sexual side. Earlier in the year, Tracy had an affair with another teacher, McAllister’s best friend Dave (Mark Harelik). As a result, Dave was fired and divorced by his wife Linda (Delaney Driscoll); Tracy walked away without any reprisal or punishment. One day, Tracy announces that she is running for student body president, which horrifies McAllister, who is in charge of organizing the school’s student government and truly despises Tracy, aware of her ruthless ambition. Set to run unopposed, McAllister decides to teach Tracy a lesson in humility by introducing another candidate. KF on KND Editor April L. Hamilton’s Note: I think this movie only has an average review rating of 3.5/5 stars because it was marketed as a standard crime/action movie. I recommend it very highly to fans of action or black comedy films. Mob boss Primo Sparazza has taken out a hefty contract on Buddy “Aces” Israel, a sleazy magician who has agreed to turn state’s evidence against the Vegas mob. The FBI, sensing a chance to use this small-time con to bring down big-target Sparazza, places Aces into protective custody-under the supervision of two agents dispatched to Aces’ Lake Tahoe hideout. 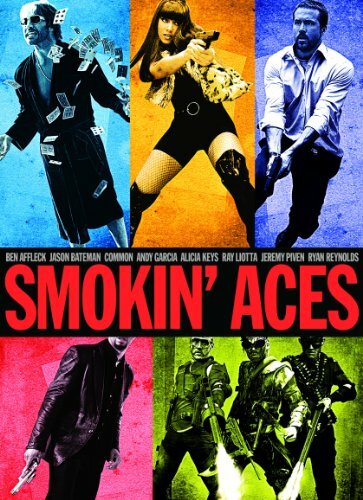 When the word of the price on Aces’ head spreads into the community of ex-cons and cons-to-be, it entices bounty hunters, thugs-for-hire, deadly vixens and double-crossing mobsters to join in the hunt. With all eyes on Tahoe, this rogues’ gallery collides in a comic race to hit the jackpot and rub out Aces. The feature film debut of Scottish director Danny Boyle was a dark, hip, Generation X comedy about a trio of Edinburgh roommates whose narcissistic greed fuels murder and betrayal. Boisterous journalist Alex (Ewan McGregor), flirtatious doctor Juliet (Kerry Fox), and meek accountant David (Christopher Eccleston) possess very different personalities, but the roommates are bonded in mutual, self-absorbed cynicism. Seeking a fourth boarder to share the rent for their stylish flat, they cruelly dismiss several candidates before settling on Hugo (Keith Allen), whose air of detachment meets the roommates’ standard of coolness. Hugo’s reserve masks criminal involvement, however, as the roommates discover when they find him dead in bed from a drug overdose, with a valise containing enormous amounts of cash. one of the most wickedly funny movies to hit the screen since Stanley Kubrik’s DR. STRANGELOVE. The story starts off normally enough: extremely bright, extremely attractive Veronica (Winona Ryder) is a high school junior who has fallen in with the high school clique to end all high school cliques, three young women each named Heather (Kim Walker, Lisanne Falk, and Shannen Doherty.) The Heathers are pretty, smart, rich… and intent on shoring up their own social positions by crushing every one around them with a degree of vindictiveness that only the teenagers can successfully carry. When Veronica meets new student J.D. Dean (Christian Slater) her interest in the Heathers begins to wane and they turn on her. J.D. has his own plan to help Veronica get even. It involves a cup of Liquid Drano–and before Veronica can think she finds herself making a murder look like suicide. The result is, as Veronica puts it, teen-age angst with a body count, and quite suddenly suicide seems the “in thing” at Westerberg High.